ICS membership provides cost savings and maximum opportunity to participate in ICS activities. It is also the basic means of supporting ICS activities and communications, including this Web site.  discounts arranged from time to time with vendors, on presentation of an ICS membership card. Where participation in an ICS event must be limited by capacity, preference is given to paid-up members and, in some cases, invitations will be limited to MEMBERS ONLY. The ICS membership year is from the ICS Canada Day Picnic on the Sunday before Canada Day (July 1) until the day before the following year’s ICS Canada Day Picnic. Please note that there is NO extra fee for a family with children. Children are welcome at all events that are not adults-only, regardless of the number of children a family has. Payment should be mailed to: ICS, c/o Dave Wilson, 119 Shrewsbury Park, Dublin 4. Membership will become effective and a membership card(s) issued once payment is received. To join ICS, please click the 'JOIN UP' button to complete your Membership Registration online or CLICK HERE FOR PRINTABLE REGISTRATION FORM. 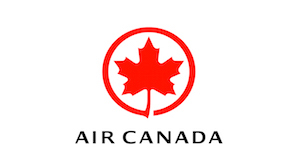 The Irish Canadian Society graciously acknowledges its airline sponsor Air Canada.